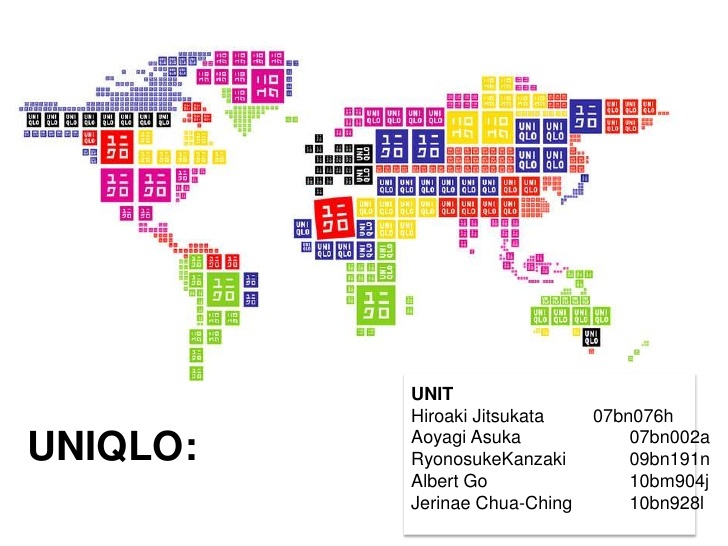 UNIQLO is a global apparel brand that has its roots in Japan. UNIQLO is a subsidiary of Fast Retailing Co. Ltd. and it is a clothing brand that specialises in casual clothing products. The organisation carries out the operations of production, design as well as retail. It was found by Tadashi Yanai in September 1974 i.e. 43 years ago in Ube, Yamaguchi Prefecture, Japan. Currently it has a workforce of approximately 30,000 employees that work worldwide for the organisation. The name of the organisation was derived from the words ‘Unique’ and ‘Clothing’ and the name initially was ‘Uni-Clo’ but due to the regular interpretation of ‘C’ as ‘Q’ in the brand name it got changed. The organisation adopted private label strategy in 1997 by introducing an exclusive UNIQLO store in Tokyo. In the year 2002, UNIQLO got separated from its parent company and went global for the first time in China. This assignment is about the strategic planning of UNIQLO. The following assignment focuses on the strategic issues of UNIQLO in the beginning. Then the assignment explains the internal analysis of strategic issues with the help of PEST analysis; Porter’s Five Forces Model as well as competition analysis. Then the assignment discusses the internal analysis of the strategic issues with the help of SWOT analysis of the organisation and analysis of value chain of the organisation. Lastly, the report provides recommendations to solve the issues. 1.There are many countries in which the organisation is functioning, and therefore it is liable to be prone to the changes in the global politics as well as the political aspects of the host countries and it is not easy to cope up with such political issues. 2.Management of resources especially cash reserve proves to be a problem because of varying economic conditions and policies of various countries in which UNIQLO is actively functioning. 3.There is also an increased competition in the apparel industry worldwide which poses as the continuous threat to the organisation (Hill, et al. 2014). 4.The labour market of the host countries is not the same as the labour market of Japan and the changes in the labour markets of host countries is problematic for the organisation. 5.The buying behaviour as well as buying decision of the customers is different in different countries and it is not easy to cope up with it. 6.The organisation produces clothing products that are casual and simple in design which make it difficult for the organisation to satisfy the demands of the customers with a preference of high-end fashion products. The political aspects of the geographical region, where the organisation wants to conduct business operations in largely influence functioning of the business operations. With respect to UNIQLO, political aspects such as in Hong Kong the governance philosophy is of two systems and in this there are two types of systems for different regions in Hong Kong. There are advantages and disadvantages of both system and altering the business operations according to the political system can help the organisation in capitalising on market shares even in foreign countries. The economical factors also influence the functioning of the organisation on a large scale as all the monetary decisions regarding the business operations are hugely influenced by economic aspects of a country (Barney, & Hesterly, 2015). The strength of an economy determines the amount of returns that the organisation can expect from business activities in a country. For example the GDP of Hong Kong is approximately USD 206.7 Billion and is one of the biggest trading hubs in the world. The strategy of UNIQLO is based on the economic factors of the country and hence it gains monetary benefits. The buying behaviour as well as buying decision of customers is hugely influenced by the social factors of a country. For example, in Hong Kong there are approximately 6,985,300 and they have a rising interest in private labels in apparels. This has made Hong Kong a promising region for the business of clothing products. Thus the organisation is continuously investing in the market of Hong Kong and provides clothing products with respect to the preferences of the potential customers of Hong Kong. The technological aspects are labour intensive as per the apparel industry all over the world. The apparel industry is driven towards automation but yet a lot of operations in production require human labours such as sewing. There are automatic sewing machines which reduce the production time and also facilitate training. They also require human attention to function and hence the industry is labour intensive despite of automate technology. Technology can also be used for many other purposes such as printing and making sketches etc. Following attest trends in technology helps the organisation in sustaining and rising in the competition. The threat of entry in the model is directly associated with the organisations that have currently joined or are planning to join the industry for business purposes. The apparel industry is customer oriented i.e. the buyer behaviour as well as decision is the topmost priority of the organisations in this industry including UNIQLO. There is not much threat to UNIQLO by new entrants as UNIQLO has a positive brand image worldwide and that is the strength that new entrants do not have. 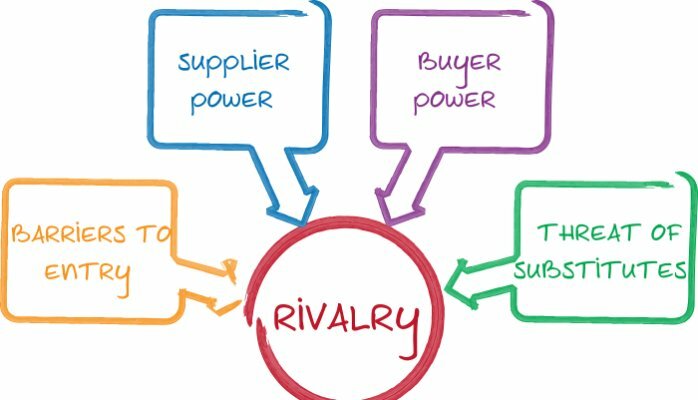 The organisations in the apparel industry face competition on both domestic and international levels (Renz, 2016). 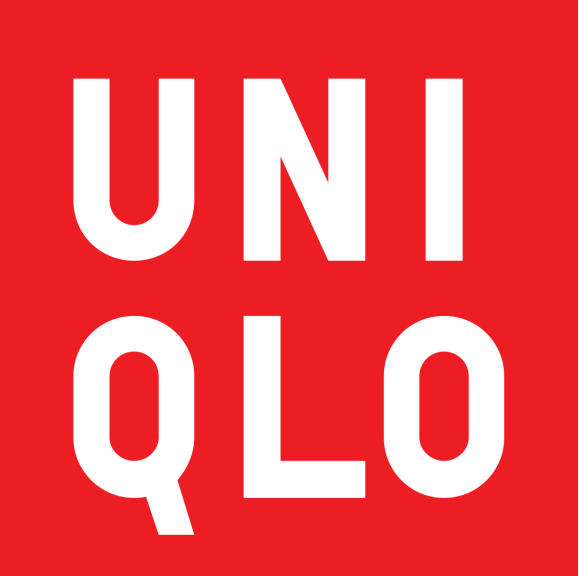 The strategy of UNIQLO against the rivals is to provide high quality clothing products along with innovative designs so as to ensure competitive advantage. This strategy has helped the organisation in sustaining and rising in the competitive market. There is a threat of substitutes to apparel organisations like UNIQLO as one kind of clothing can easily be replaced by another kind of clothing in a lot of ways. This replacement can depend on a lot of factors like price of the substitute and taste of the customer etc. There is a threat to UNIQLO from the suppliers of raw materials such as raw fabric. This threat can be due to availability of raw materials or transportation expenses etc. Therefore, UNIQLO maintains its complete control over the production so as to avoid the threat of suppliers to the maximum extent. There is a threat from buyers to UNIQLO as the industry highly depends on the customers and their preferences. There is always a threat to a new collection based on how much will the buyers like it (Jayarathne, et al. May). As a result, UNIQLO focuses on the quality and design of the product with respect to the preferences of customers. The concept of strategic group mapping is based on the competitors of an organisation in an industry. As per UNIQLO the major competitors are GAP, Benetton, H&M, American Eagle, Forever 21, Brandy Melville, Land’s End, Bossini, Muji and Old Navy etc. All these organisations have their positions in the market as per their popularity, sale, profit generation and various other factors. Strategic group mapping is done mainly on the basis of quality and price (Morschett, et al. 2015). The organization UNIQLO has rose above in the domestic markets of Japan along with international market as per the apparel industry because of its certain strengths. These strengths have continuously leaded to the rise of the organization in the market. One of the major strengths of UNIQLO is the assurance of divergence that facilitates the individuality of the customers and also promotes the edgy and fashion forward side of them. The products of UNIQLO are developed so as to meet the international standards of quality. The international quality is maintained so as to survive in the competition with global brands worldwide. The international quality of UNIQLO products is responsible for attracting customers from all over the world towards buying UNIQLO products. Another focus of the authorities and designers of UNICLO is on the market research as that determines the preferences of the customers which in turn facilitate the product development as per the market trends and customer demands. One of the major factors supporting the organization is VOC i.e. Voice of the Consumer (Bagla, & Dhingra, 2015). The organization still requires more than that for rising in the market and therefore, it is suggested that the organization can be connected directly to the value chain process. It can be done with the help of provision of quality products at reasonable prices. After the production is carried the major focus of UNIQLO is the efficient distribution of the products among the customers as well as inventory control. Despite all the strengths there are many weaknesses of the organisation too that keep the organisation from rising above what is already achieved. UNIQLO has to focus on getting above these weaknesses so as to rise in the market as well as to sustain that position. Fast Retailing as well as whole of Japan, both are known for the production of functional, casual and simple type of clothing. This clothing is mostly accepted in most of the countries due to its simplicity but at the same time these products fail to facilitate the market penetration of the organisation where there are elevated demands of high-fashion. These regions involve New York, Milan, Paris, and London; there are high demands of extravagant and cutting edge clothing in these areas. Therefore as per such areas the fashion quota of UNIQLO is not enough. One more weakness of UNIQLO is that of multi-layer distribution. This is a drawback for the organisation as the distribution digestion is difficult and it leads to clogging in the distribution. The basic targets of the organisation are the low-end consumers and therefore it fails to satisfy customers with a high-end preference. This leads to lesser market demands on a global level especially in the areas with the demand of high-end fashion. The organisation also cannot provide street and ethical clothing as there is standardisation in the product design and the ethical and street designs differ in various countries. In many, countries the profitability of an organisation is identified on the basis of sales in the peak seasons such as festive as well as holiday seasons. Therefore the organisation is advised to gain the required operational and managerial competency as per the sustenance in the markets of fashionable areas. If the organisation fails to do so it can cause serious negative effects in business operations as well as revenue generation in these regions. There are many opportunities for maximisation of revenue generation as well as business expansion for UNIQLO. The apparel industry highly relies on the hanging trends and therefore the scopes of business expansion are always positive. The clothing industry enjoys increased simultaneity because of globalisation due to introduction to latest technology as well as exchange of information and cultures of various countries (Turker, & Altuntas, 2014). The major opportunities for the industry include the fast interchange of information and data from across the world with the help of customers as well as integration of information technology. The organisation can also focus on developing products for teenage population as they can easily be made to get attracted towards clothing products. There are many threats to UNIQLO from the outside world that influence the business operations on the inside of the organisation. There are some threats that all the organisations in the industry are facing that involve the threats of changes in economy, fashion trends, consumption behaviour as well as competition. UNIQLO alone is facing threats like currency changes due to operations on a global level. The threat of fluctuations n the labour market is also worrying the authorities at UNIQLO. The business analysis framework that forms part of organizational larger strategic scheme consider as VRIO analysis. It is a basic strategic process of analysing the resources and capabilities of organization. The major elements of VRIO analysis are Value of organization, Rarity, Imitability and Organization that influence the internal activities of organization. 1.The issues related to political differences in the host countries where UNIQLO is functioning proves to be a major problem and any carelessness in following the legislations of host countries can land the organisation in legal troubles. The most effective solution to this problem is the required research of the legislations of host countries and following them thoroughly. 2.The management of the cash reserves of the organisation can be carried out with the help of financial advice from experts and the organisation can also go for appointing finance managers/officers in the organisation. This will ensure the optimum utilisation of the monetary resources that are available with UNIQLO. 3.The provision of quality products that are in accordance with the latest fashion trends can help the organisation in sustaining and elevating in the competition on the international level (Kang, et al. 2013). Also UNIQLO can capitalise on market share by following this recommendation. The customers get easily inclined towards the products with good quality and hence the organisation will be able to eliminate competition to certain levels with the help of above solution. 4. So as to face the changes in the labour markets of the host countries the organisation has to conduct frequent researches in the matter. The organisation also requires high level of awareness of the trends in the labour market and to conduct the business operations accordingly. Paying attention to the sensitivity of the labour market can help the organisation in avoiding labour related issues which is mandatory in apparel industry due high dependence on labours in the manufacturing process. 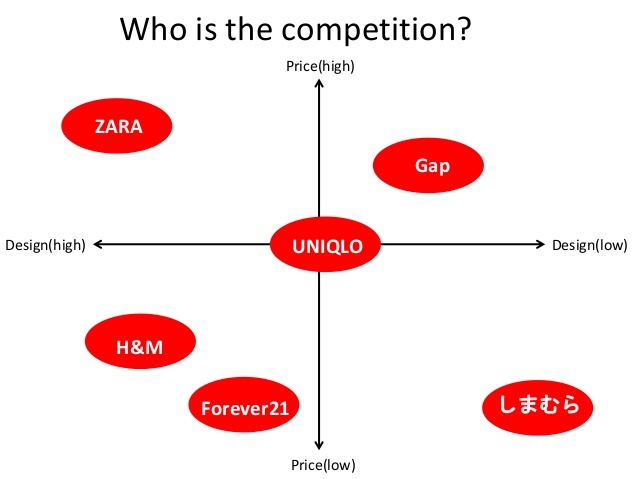 5.The market research on the buying behaviour as well as buying decision of the customers can not only help UNIQLO in solving the problems that arise regarding this matter but also in ensuring high sales in the host countries. The buying behaviour as well as buying decision of the customers highly influences the customer demand and sales in a host country, therefore it is a sensitive issue and it should be carefully handled by the authorities of the organisation. 6.The introduction of new and fashionable collections in the regions with preferences of fashionable products can help the organisation in capitalising on market share in those regions and hence the issues can be avoided (Müller, et al. 2015, June). Such collections can also be launched in other regions where there are prospects of sale for fashionable garments and the organisation can ensure the generation of revenues with the help of this. The above report is based on the strategic planning of UNIQLO and has analysed the strategic issues of the organisation and there after provided the analysis and solutions to the problems. The report started with a discussion on the strategic issues that are currently being faced by UNIQLO. Then the report concentrated on the external assessment of the strategic issues being faced by UNIQLO presently. The external assessment was carried out with the help of PEST analysis and Porter’s Five Forces Model. The external assessment has also concentrated on the competitors of the organisation with the help of strategic group mapping. Thereafter the assignment carried out an internal analysis of the strategic issues. 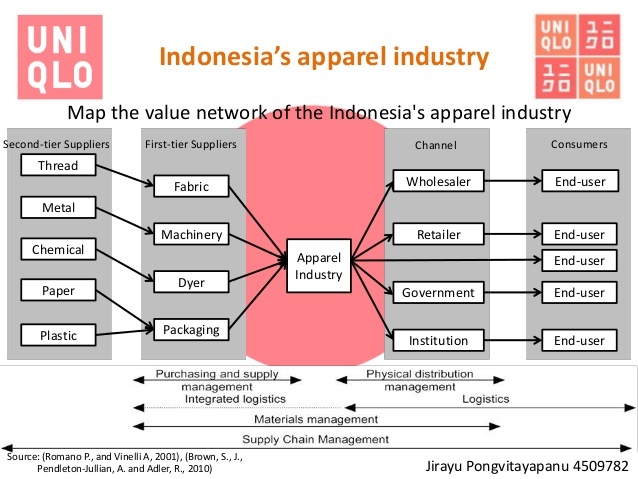 The use of a SWOT analysis along with value chain was done to analyse the internal factors resulting in strategic issues for the business of UNIQLO. Lastly the recommendations for the strategic issues were provided in the report. The use of the recommendations provided can prove to be useful in order to face and eliminate the strategic issues being faced by UNIQLO. Hill, C. W., Jones, G. R., & Schilling, M. A. (2014). Strategic management: theory: an integrated approach. Cengage Learning. Barney, J. B., & Hesterly, W. (2015). 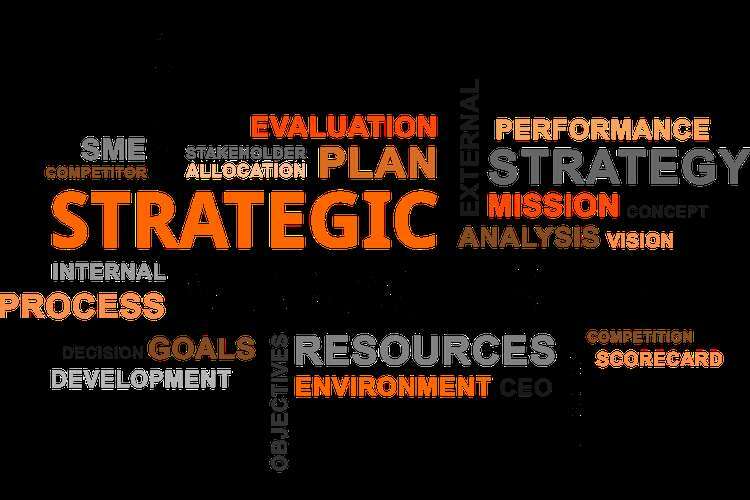 Strategic management and competitive advantage concepts and cases. Pearson. Renz, D. O. (2016). The Jossey-Bass handbook of nonprofit leadership and management. John Wiley & Sons. Morschett, D., Schramm-Klein, H., & Zentes, J. (2015). Strategic international management. Springer. Bagla, V., & Dhingra, S. (2015). A multi-criteria approach to study the significance of branding as amarketing strategy in clothing Merchandise. ZENITH International Journal of Business Economics & Management Research, 5(6), 160-170. Colovic, G. (2014). The Garment Manufacturers Risk Assessment-Swot Analysis. Journal of Textile Science & Engineering, 4(6), 1. Turker, D., & Altuntas, C. (2014). Sustainable supply chain management in the fast fashion industry: An analysis of corporate reports. European Management Journal, 32(5), 837-849. Ngai, E. W. T., Peng, S., Alexander, P., & Moon, K. K. (2014). Decision support and intelligent systems in the textile and apparel supply chain: An academic review of research articles. Expert Systems with Applications, 41(1), 81-91. Kang, J., Liu, C., & Kim, S. H. (2013). Environmentally sustainable textile and apparel consumption: the role of consumer knowledge, perceived consumer effectiveness and perceived personal relevance. International Journal of Consumer Studies, 37(4), 442-452. Müller, M., Hofstetter, J. S., & Goerzen, A. (2015, June). Organizational aspirations and violations of a social standard's minimum requirements in the emerging economies' clothing industry. Academy of International Business. Jayarathne, P. G. S. A., & Warnakulasooriya, B. N. F. (2014, May). RESPONSIVENESS CAPABILITY IN THE INTERNATIONAL CLOTHING INDUSTRY: GLOBAL QUICK RESPONSE AND PLANNING POSTPONEMENT CAPABILITIES. In Proceedings of International Conference on Business Management (Vol. 10).